Mumbai (Maharashtra) [India], Dec 09 (ANI): Mumbai's Chhatrapati Shivaji Maharaj International Airport (CSMIA) has bested its own record of overseeing the highest number of aircraft movement in a single day by handling 1,004 aircraft on Saturday. Mumbai (Maharashtra) [India], Nov 2 (ANI): Crisis-hit Jet Airways on Friday announced that complimentary access to the luxury lounge at Mumbai's Chhatrapati Shivaji Maharaj International Airport will be "temporarily unavailable" for its passengers. Mumbai (Maharashtra) [India], July 10 (ANI): A major mishap was averted at the Chhatrapati Shivaji International Airport in Mumbai after an Air India express aircraft overshot the runway on Tuesday afternoon. Mumbai (Maharashtra) [India], July 3 (ANI): Several airlines, including Jet Airways, Vistara, GoAir and IndiGo, have arranged for waiver of penalties, re-accommodations and refunds for the passengers who missed their flights in Mumbai due to inclement weather conditions. 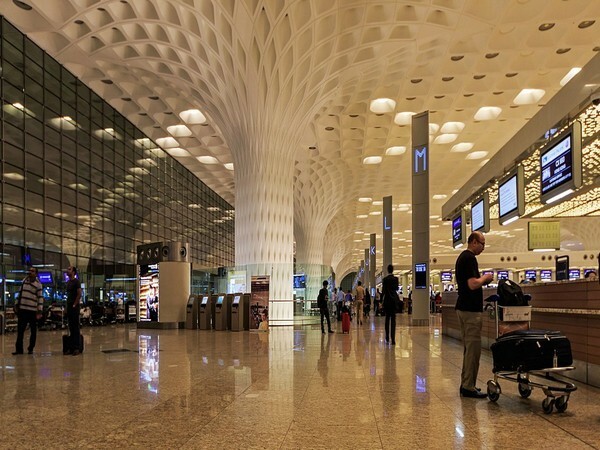 Mumbai (Maharashtra) [India] June 7 (ANI): Mumbai's GVK Chhatrapati Shivaji International Airport (CSIA) achieved yet another milestone by handling 1003 takeoffs and landings of flights in a 24-hour timeframe. Mumbai (Maharashtra) [India], May 23 (ANI): Rashtriya Janata Dal (RJD) chief and former Bihar chief minister Lalu Prasad arrived at Mumbai's Chhatrapati Shivaji International Airport, ahead of his hospitalisation on Wednesday. Mumbai [India], Apr 9 (ANI): Thousands of fliers are likely to be inconvenienced as the main runway of the Chhatrapati Shivaji International Airport in Mumbai will be closed for six hours, on Monday and Tuesday. Mumbai (Maharashtra) [India] February 12 (ANI): A Mumbai-Ahmedabad Air India flight had a rejected take off at Chhatrapati Shivaji International Airport (CSIA) following a false fire warning in port engine. Mumbai (Maharashtra) [India], Feb. 3 (ANI): The Jet Airways on Saturday informed its customers that the main runway at the Chhatrapati Shivaji International Airport (CSIA), Mumbai will be closed for "operations" from February 1 to February 17.